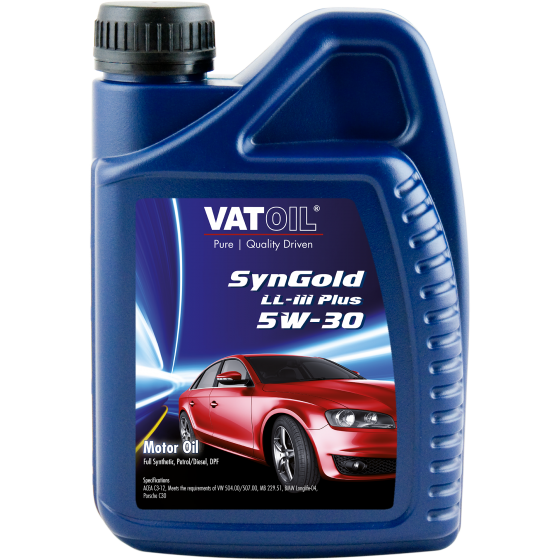 50016 VATOIL SynGold LL 5W-30 ACEA A3/B3/B4 GM LL-A-025 GM LL-B-025 API SL/CF 1 л 178.14 грн. 50017 VATOIL SynGold LL 5W-30 ACEA A3/B3/B4 GM LL-A-025 GM LL-B-025 API SL/CF 4 л 608.65 грн. 50020 VatOil SynGold LL-III Plus 5W-30 ACEA A3/B4 MB 229.51 BMW LL-04 VW 504.00 VW 507.00 1 л 226.34 грн. 50021 VatOil SynGold LL-III Plus 5W-30 ACEA A3/B4 MB 229.51 BMW LL-04 VW 504.00 VW 507.00 4 л 729.34 грн. 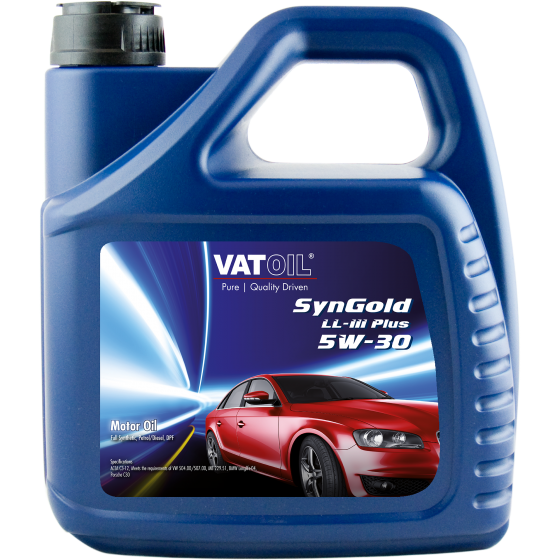 50018 VatOil SynGold Plus 5W-30 API SM/CF ACEA A1/B1 ACEA A5/B5 ACEA C2 1 л 206.99 грн. 50019 VatOil SynGold Plus 5W-30 API SM/CF ACEA A1/B1 ACEA A5/B5 ACEA C2 4 л 688.14 грн. 50003 Vatoil SynGold LL-II 0W-30 ACEA A1/B1 ACEA A5/B5 VW 503.00 VW 506.00 VW 506.01 1 л 315.45 грн. 50004 Vatoil SynGold LL-II 0W-30 ACEA A1/B1 ACEA A5/B5 VW 503.00 VW 506.00 VW 506.01 4 л 1088.96 грн. 50397 Vatoil SynTech LL-X 5W-50 ACEA A3/B4-12 API SN/CF VW 502.00/505.00 MB 229.3 Porsche A40 1 л 183 грн. 50398 Vatoil SynTech LL-X 5W-50 ACEA A3/B4-12 API SN/CF VW 502.00/505.00 MB 229.3 Porsche A40 4 л 721.96 грн. 50010 Vatoil SynGold 5W-40 ACEA C3-12 API SN/CF VW 502.00/505.00/505.01 MB 229.51/229.31/226.5 BMW Longlife-04 Ford M2C917-A Porsche A40 Renault RN0700/RN0710 Dexos 2 Fiat 9.55535-S2 1 л 177.64 грн. 50011 Vatoil SynGold 5W-40 ACEA C3-12 API SN/CF VW 502.00/505.00/505.01 MB 229.51/229.31/226.5 BMW Longlife-04 Ford M2C917-A Porsche A40 Renault RN0700/RN0710 Dexos 2 Fiat 9.55535-S2 4 л 613.87 грн. 50039 Vatoil SynTech FE 5W-30 ACEA A1/B1-12, A5/B5-12 API SL/CF Ford WSS-M2C913-D Renault RN0700 Jaguar Land Rover STJR.03.5003 1 л 188.92 грн. 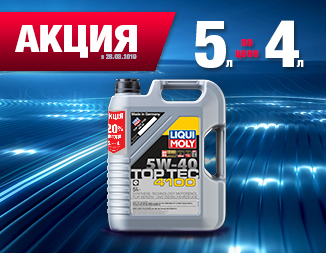 50040 Vatoil SynTech FE 5W-30 ACEA A1/B1-12, A5/B5-12 API SL/CF Ford WSS-M2C913-D Renault RN0700 Jaguar Land Rover STJR.03.5003 4 л 651.94 грн. 50034 Vatoil SynTech LL-X 5W-40 ACEA A3/B4-12 API SN/CF VW 502.00/505.00 MB 229.3/226.5 Porsche A40, BMW Longlife-01 GM LL-B-025 Renault RN0700/RN0710 Fiat 9.55535-M2 1 л 155.01 грн. 50035 Vatoil SynTech LL-X 5W-40 ACEA A3/B4-12 API SN/CF VW 502.00/505.00 MB 229.3/226.5 Porsche A40, BMW Longlife-01 GM LL-B-025 Renault RN0700/RN0710 Fiat 9.55535-M2 4 л 519.42 грн. 50028 Vatoil SynTech 10W-40 ACEA A3/B3-12, A3/B4-08 API SL/CF MB 229.1 1 л 119.28 грн. 50029 Vatoil SynTech 10W-40 ACEA A3/B3-12, A3/B4-08 API SL/CF MB 229.1 4 л 406.6 грн. 50231 Vatoil SynTech Diesel 10W-40 API CF ACEA B3 MB 229.1 1 л 119.45 грн. 50232 Vatoil SynTech Diesel 10W-40 API CF ACEA B3 MB 229.1 4 л 404.03 грн.